This American singer, actress, and spokesperson rose to fame in 2004 as a finalist on the third season of American Idol. From there onward, Jennifer Hudson became a household name for powerful, emotional and evocative music. 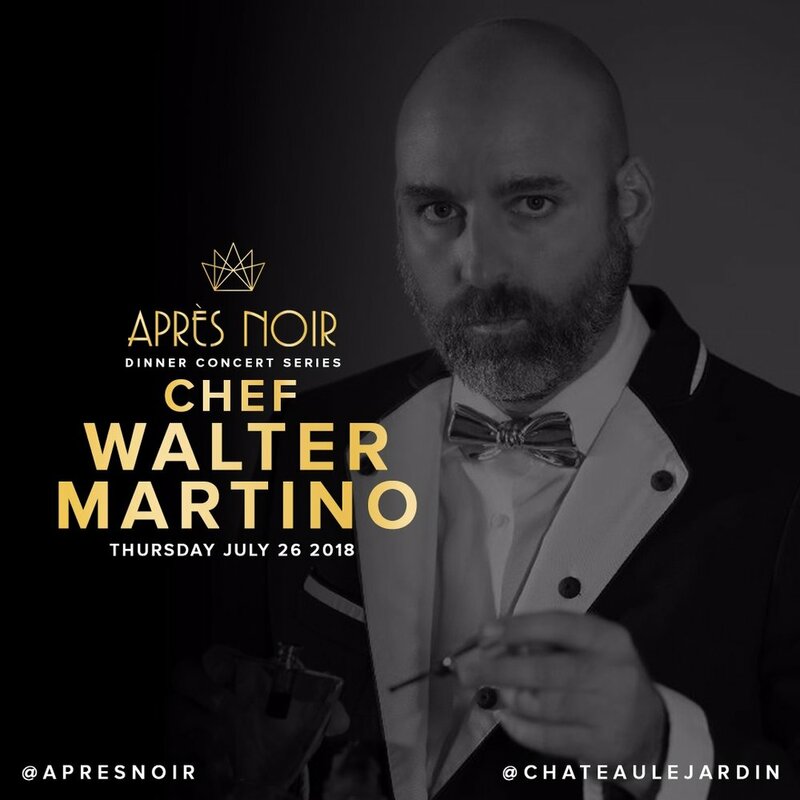 Thursday, July 26th, an Academy Award and 2-time Grammy Award winner steps foot inside Château Le Jardin for the 3rd act of Après Noir. Versatile singer/songwriter Mia Martina grabs the attention of the Après Noir audience July 26th alongside Chef Walter Martino and Jennifer Hudson! Joey Niceforo made his professional debut in 2005 when he joined the original Canadian Tenors. He then formed his own classical crossover ensemble Destino in 2006 who went on to tour internationally, including performances at the Beijing and Vancouver Olympics, Carnegie Hall in New York City, the Miss America Pageant in Las Vegas and a national tour with the Rankin Family. As a ‘New Classic’ solo artist, he has performed a number of concerts in Canada, the U.S., across Italy, the Czech Republic and always enjoys preforming in his hometown of Sudbury. He has been featured on NBC singing the American National Anthem for the Columbus Day parade in New York and on an ABC made for TV movie produced by Britney Spears. Rafael Mazzucco, is a Canadian fashion, art and music photographer. His photographs have appeared on the cover of three Sports Illustrated Swimsuit Issues in a four-year span, including the 2006, 2008 and 2009 main cover images, as well as the books: Sports Illustrated: Exposure (2006, Time, Inc. Home Entertainment) and A Second Decade of Guess Images: 1991-2001. He was also commissioned to shoot Victoria's Secret's coffee table book. Walter designs dishes that are exhibited in galleries of art across the globe, most notable for producing a $1-million plate. Combined with live art, fashion and endless entertainment, Walter will bring you flavours from around the world on July 26th. OTHER SPECIAL GUESTS ANNOUNCEMENTS COMING SOON!